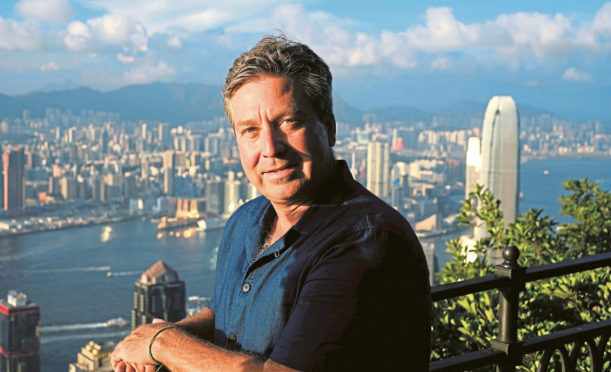 The countdown is on for a chance to see celebrity chefs like John Torode in action at this year’s Taste of Grampian – and fans are being urged to get in fast. Tickets for demonstrations by John and other well-known MasterChef faces, such as reality TV star Spencer Matthews and Scotland’s National Chef Gary Maclean, are expected to be snapped up when they go on sale on Thursday. Taste Of Grampian is now Scotland’s biggest one-day food festival and will be held at Inverurie’s Thainstone Centre on Saturday June 1. Carol said: “We’ve pulled out all the stops to ensure that Taste of Grampian celebrates its 20th anniversary in style. MasterChef judge John will showcase recipes in the main arena with three demonstrations starting at 11.30am, 2.30pm and concluding with a joint demonstration with his MasterChef Celebrity finalist from 2018, Spencer Matthews, at 4pm. Spencer, of Made In Chelsea fame, will also hold demonstrations at 10am and 1pm. Gary Maclean, Scotland’s National Chef and winner of MasterChef The Professionals in 2016 will be demonstrating Scotch Beef recipes at 10.15am in Ring 3 – his appearance is sponsored by Quality Meat Scotland. Completing the celebrity line-up is Glasgow born Helen Vass who was in the winning team of BBC2’s Bake Off Crème de le Crème in 2016. DSe will be showcasing some delicious patisseries and pastry bakes in Ring 3 at 12.45pm and 3.30pm. Gate price on the day will be £10.